U.S. soldiers are said to have participated in, and perhaps even perpetrated, the killing of five Somali civilians during a Special Forces raid earlier this month. According to the Guardian, U.S. Special Forces reported the presence of al Shabaab militants in a banana plantation. Five people were found dead on the scene, but no weapons were found. And the five dead were later identified as banana farmers who were trying to escape the gunfire. Forensics determined that the five were killed by the same type of firearm, and the U.S. Defense Department spokesperson recently confirmed that U.S. Special Forces were involved in the raid on May 9, and that there were civilians who were killed. The Head of Special Operations Command Africa has now suspended a regional commander and enlisted adviser over the alleged misconduct and sent them both back to the United States. The U.S. has about 1000 special operations personnel in Africa. Those in East Africa largely assist in countering the Somalia-based al Shabaab extremist group. Civilian casualties in Somalia have increased recently, just as U.S. military activity in the country has also been increasing under the Trump administration, according to an investigation done by the Guardian. Joining me now to take a closer look at these recent developments and U.S. involvement in Somalia is Bill Fletcher, Jr. Bill is the co-founder of the Center for Labor Renewal, and a columnist and a longtime activist. I thank you so much for joining us, Bill. BILL FLETCHER JR: My pleasure, Sharmini. SHARMINI PERIES: Bill, what can you tell us about the incident beyond what was just published in a few media outlets? The Guardian obviously looked into this more. But what do we know about the incident, and the issues surrounding why the U.S. is there killing civilians? BILL FLETCHER JR: Well, this doesn’t come as a surprise for a number of reasons. But the most important being the United States has been actively engaged in Somalia since the George Bush administration. George W. Bush. And the the United States, when the dictatorship of Siad Barre collapsed, to a great extent pulled out of Somalia, and allowed Somalia to Balkanize. George W. Bush, however, decided to take a different path, and encouraged the invasion of Somalia by Ethiopian troops in 2004. And this was aimed at destroying a project that was underway that had actually stabilized parts of Somalia, and it was the Union of Islamic Courts. The military wing of the Union of Islamic Courts was al Shabaab. The youth. And when the Ethiopians succeeded in destroying the Islamic Courts, the al Shabaab took up guerrilla warfare against the the Ethiopians. Over time, al Shabaab constructed an alliance with al Qaeda. And I want to emphasize that point, that when the Ethiopian troops entered into Somalia, this was a Somalia internal situation that al Qaeda was not engaged in. But over time a relationship developed, and this guerrilla war, terrorist war, unfolded. The United States got further involved even after the Ethiopian troops pulled out, and a lot of its involvement has been through drone strikes. Now, the African Union ultimately was called upon to try to help end the conflict. And the African Union’s military forces come from a number of African countries, including Kenya and Burundi, and they’re getting various kinds of logistical support from the United States. And as you pointed out, there’s U.S. advisers that are there. The objective of the African Union mission, however, is supposed to be to stabilize the situation and to help to rebuild the nation. The piece that’s missing, and it’s been missing from the U.S. involvement, certainly, is any attempt at some sort of internal reconciliation with those around al Shabaab. So once again, the United States approach to this is, much like in Afghanistan, avoiding political solutions and political [discussions], and assuming that the situation can be resolved simply through force of arms. And I think that that remains a very big mistake, and it would be a mistake even if this tragedy had not happened. SHARMINI PERIES: And Bill, when you say those around al Shabaab, who do you exactly mean here? BILL FLETCHER JR: I meant their base. The thing about-. What the Union of Islamic Courts did was it broke the stranglehold of the warlords. So people started looking to the Union of Islamic Courts, whether they agreed with their particular theology or not, but they looked at them as a stabilizing force. And al Shabaab inherited some of that. But Al Shabaab is playing on a mixture of nationalism and right-wing Islamism. The nationalism is, you could almost call it pan-Somali nationalism. So they’re looking at the Somalis that are in that region, including-. And especially what’s important is northern Kenya. And so they’re looking at that, and they’re also relying on their peculiar and particular form of theology as an ideological base. So when I’m talking about their base I’m talking about those that are looking for sort of a pan-Somali solution, and are looking for a level of stabilization and the withdrawal of foreign forces. SHARMINI PERIES: All right. Now, tell us a little bit more about al Shabaab and their alliance with Al-Qaeda and ISIS. BILL FLETCHER JR: Well, it’s interesting. They’re not aligned with Daesh, with ISIS. But what happened is that Daesh, about two years ago if memory serves me, decided that they were going to try to enter into Somalia. 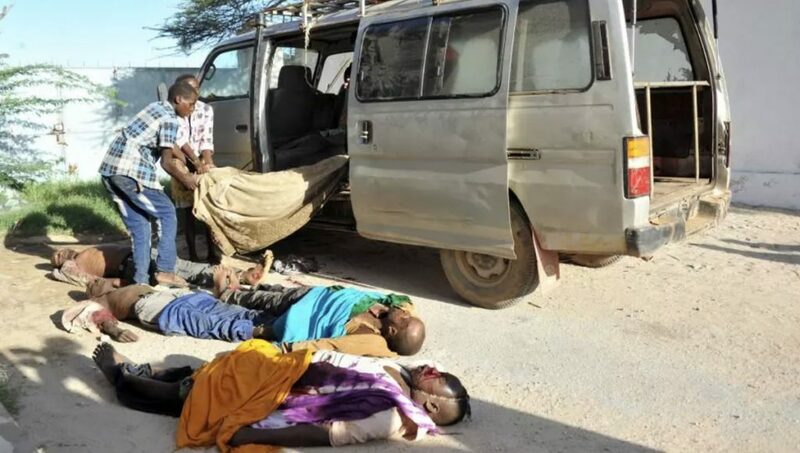 And al Shabaab warned people that they would be taken out if they align with Daesh. So there is some sort of alliance with al Qaeda. Now, these alliances, it’s sort of like the al Qaeda in the Maghreb, in what’s now Mali and in Algeria. These are loose arrangements by very autonomous organizations that are at least allegedly swearing allegiance to the overall project of al Qaeda. There’s no particular indication that I’ve ever seen that there’s high-level coordination. Al Shabaab is a movement that is of Somalia, and it is a movement that is a political force. One does not have to like Al Shabaab to know that some sort of arrangement will have to be arrived at at some juncture in order to stabilize the situation. Because every time it feels like Somalia is getting close to stability, and there have been some efforts, if al Shabaab feels threatened, a bomb goes off. There’s an assassination, or whatever. So the situation remains highly unstable, and with the presence of foreign troops, although they are supposed to be drawn down, but with the presence of foreign troops, that gives al Shabaab another banner to fly under. SHARMINI PERIES: Right. Now, under President Trump, as I said off the top, under Trump troops in the region and in Somalia in particular has increased. Now, besides providing the necessary protection for the people of Somalia, which, you know, could be a constructive role. But what can the U.S. do, actually do to facilitate, perhaps, a dialogue, a discussion, which is the only way out of this mess? BILL FLETCHER JR: That’s a difficult question to answer because of who the president of the United States is. So if you would ask me abstractly, what could the United States do? I would say, and I don’t mean that in a critical way. I would say that what the United States could do is to cease its drone strikes and otherwise other air strikes, it could stop that immediately. And that what it would need to do would be to put into place a reconciliation team, or to support a reconciliation team from the A.U. that was reaching out to those in al Qaeda, or excuse me, in al Shabaab, that are prepared to engage in discussions. That’s what I would say. The problem is that with Trump as the president, his-. First of all, he doesn’t understand the region. He doesn’t understand foreign policy. But he certainly doesn’t understand the region. And his impulse, and now with Dr. Strangelove working there, otherwise known as Bolton, we have again an overreliance on the military option as the solution, as opposed to attempting to establish talks. I mean, if I were advising a president I would say you need a special ambassador to spend time with the A.U., and working on a reconciliation process. A disarmament and reconciliation process. I would say it’s not going to be easy. There would be a high level of suspicion. But there would need to be guarantees that there would not be retaliation on either side. SHARMINI PERIES: All right. It seems like it will also be a long process to get there. All right. All right. I thank you so much for joining us today, Bill. BILL FLETCHER JR: My pleasure. 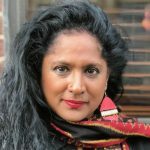 SHARMINI PERIES: And this is obviously an ongoing discussion. We don’t get to focus on countries like Somalia very often with the absence of the Global African here on the Real News. So I thank you so much, and we welcome you back. BILL FLETCHER JR: My pleasure. Always.